Silky Skin Touch & Easy to Clean Dirt and ink can be wiped off easily with damp rag, silky smooth touch feeling but not slippery. No dirty, no color fading, no fingerprint, no surface scratch. Drop Reinforced Protection Inner microfiber cushion frees any abrasion that may occur by hugging every corner, offers shockproof protection from the impact of accidental falls or drops. Supports Wireless Charging Charge wirelessly with little to no interference, no need to take off the case when use wireless charging, more convenient for your daily life. 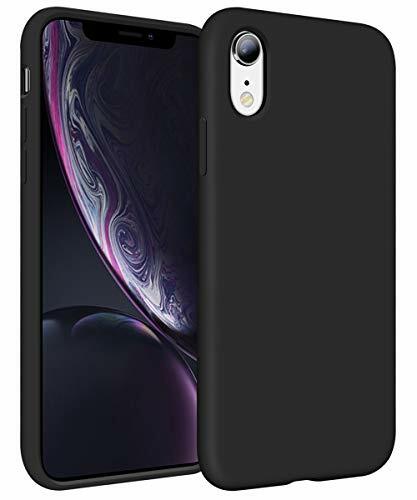 Read more Package Included: 1x HoneyAKE iPhone XR Case [Screen Protector was not included] Warm Tips: Please note that screen protector was not included, we suggest you to buy a tempered screen protector if you want to protect your phone screen better.